Yesterday was a sad, strange, and gloomy day. We live in a small town with around 730 full time residents. You get to know people. Yesterday the news flashed around that one of our friends, neighbor, and fellow band member suddenly passed away. Well, let's just say I didn't get a whole lot of work done in the studio yesterday and what I did do isn't really ready to be put on the blog just yet. The weather isn't helping any either, wind, lots of rain, and dark gray skies. Twill and I get drenched everytime we go for a walk. I continued to work in the studio but my mood is as sad and gray as the sky so I apologize for the gloomy post but life happens to all even in the midst of beautiful creativity. 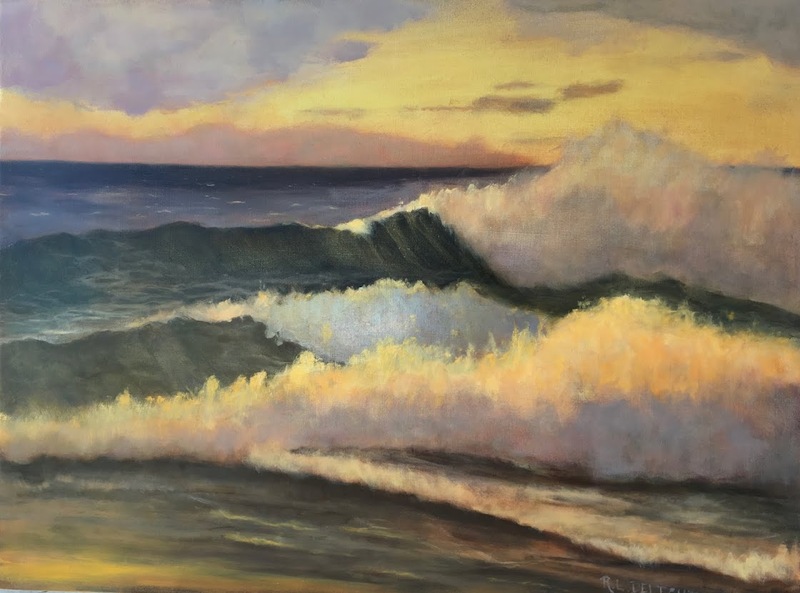 I don't take pictures of the waves I work on just the occasional picture to share the wild scenery so this was completed from memory. Here is what I did to "finish" it. The waves needed brightening and a bit more definition. 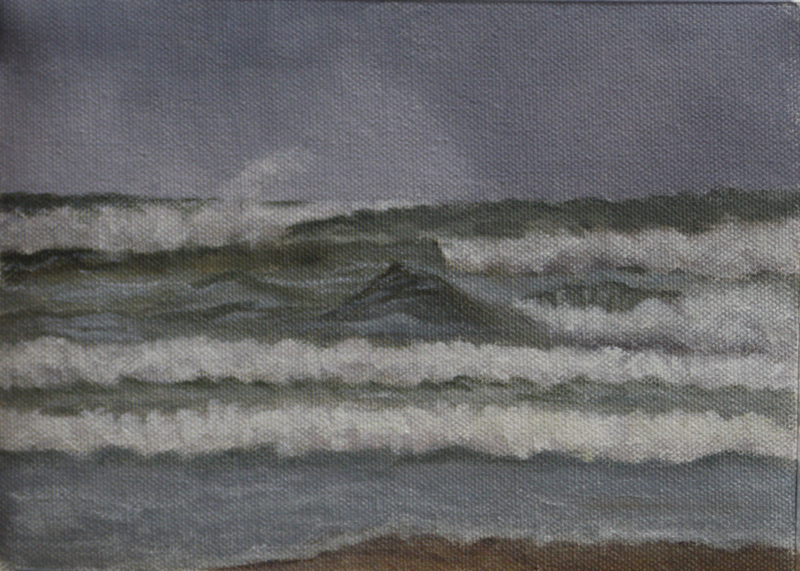 I needed to get the wavelets and the idea of the foam in to define the planes and water. I also had a teeny bit of the sand to put in. That was it. I feel better about it now and can move on. I love walking my dog Twill. It gets me out of the house no matter what the weather and it allows me to see the turn of the seasons, sun, moon, tides, and stars. This time of the year, I am encouraged by the growing light as the days begin to lengthen. The gray and gloom will pass, it may occasionally return, but it will pass.